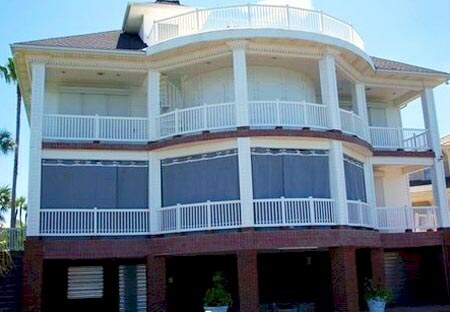 Force 12 Wind Screens protect you and your property from heavy winds and flying debris, two of the main causes of damage and destruction during hurricanes and tropical storms. 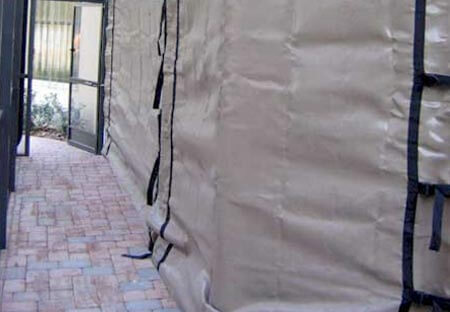 Force 12 Wind Screens are a flexible wind abatement and high impact protection system that deflects windblown debris. Force 12 Wind Screens resist impacts that will shatter a concrete block wall. It actually repels flying debris, unlike a rigid shutter system that transfers the shock load directly to the building. Home Safety Solutions offers professional Force 12 Wind Screens installation services. Serving Pinellas, Hillsborough, Pasco and Hernando areas. Protecting homes, possessions and families from violent weather and hurricanes over 3 decades. Click here to request quote.